Photo: Tule Spring, Alexander Hills in background. Eastern Mojave Vegetation Tule Spring, Alexander Hills in background. This oasis may be formed by fine-grained materials dammed by vegetation in the low gradient California Valley. Mesquite Valley Road - Eastern Mojave Desert: Tule Spring. 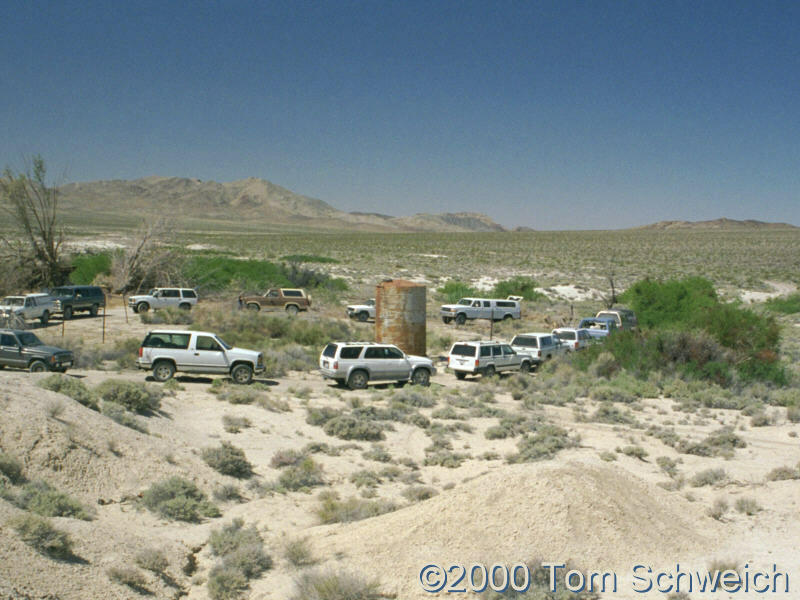 Field Notes: Tule Spring, April 30, 2000. Other photos about Geography - Northern Mojave or Tule Spring.